Tokyoflash Watch Contest Finalists | OhGizmo! 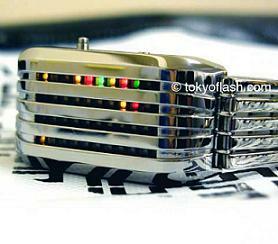 We told y’all about the Tokyoflash watches up for grabs a while ago. Well, as you can imagine, the response was vigorous. After sifting through a few dozen entries, downing a few cups of coffee and bickering over the results, we have our finalists. 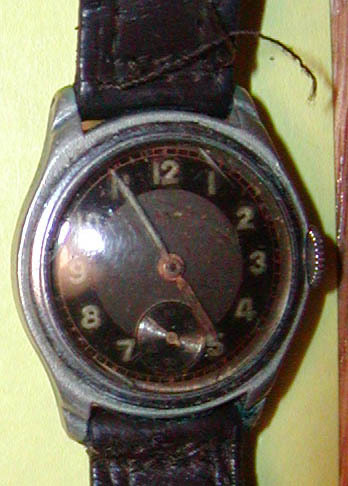 You should know that pictures of dilapidated watches took priority over the creative entries. Also, promises of everlasting friendship, warm companionship, long walks on beaches and such did not influence our decision, tempting as some might have seemed. So, come on in and rock the vote. 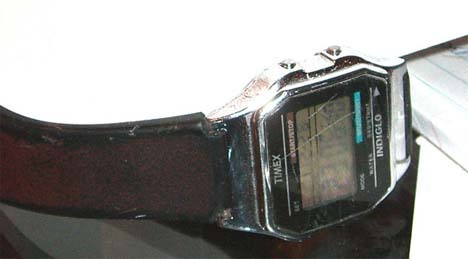 Finalist B: Alvaro Salkeld with a beat-up two year old Timex. Alvaro tells us of his clumsiness that got red paint and concrete induced scratches on the watch. Finalist C: Phlow and the Mao Watch, from the People’s Republic of China, given to him by his father. 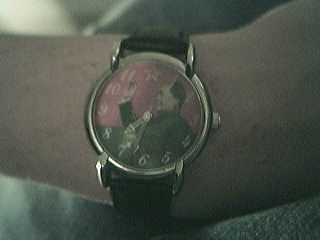 You have to wind it and his hand waves constantly while the red star of China counts the seconds. Finalist D: Kenna Basset and what looks like a very colorful, down-trodden Timex. Finalist E: Trow and his sad watch. Finalist F: The only story that made it to the finals. Well, hopefully being an alien, they’re not familiar with coffee. When their leader comes to interrogate this curious species known as a male, I’ll introduce her to the wonders of hot coffee and hopefully she’ll develop a migraine after drinking the entire flask and flooding her system with caffeine. While she’s too busy holding her head in pain and feeling nauseous, tie her up with the string and hold her hostage, threatening to trigger the LED display in my Tokyoflash watch and wipe her brain clean with the intense pattern of light flashes! Unless of course, they let me leave in one of their ships in which case nobody gets hurt. I might even leave them the watch as a souvenir. So there you have it folks. The six finalists. Two of them will get a gorgeous wristwrapper. The first runner up gets a $100 12-5-9 G and the winner, a $150 Barcode Watch. Voting will end on Monday, January 16th. You can use the polling booth on the right hand side, right above the Main Menu. I am very upset my tale did not make the finals. no matter I already own a TF watch –for shame ponce for shame. Thanks for making me a Finalist. However, it is Don & Robin MUNDRICK, not Mundrake. Mind you, if everyone would please vote for Finalist A (insert shameless plug here), you can call me whatever you want, as long as I win! I also appreciate being made a finalist, and hopefully everyone will vote for Finalist C as well! My story isn’t as interesting as Mr. and Mrs. Mundrick’s yet Mao says hockey is boring, play ping pong! Your watch is very cool, and I hope you are one of the winners. How long have you had it? Have you had it since it was brand new? How much did it cost? Also, I am an ex-hockey goaltender, which might explain why I am so deadly at Ping Pong…I love the game!!! haha hey buddy, my dad got the watch for a really cheap price about a year ago in China, and I have had it since it was brand new. I’m not sure how much it was, but i enjoy having it! Good luck to you too buddy. Where abouts do you live? I am from Calgary, Alberta, Canada, home of the World Famous Calgary Stampede! Maryland buddy. It is from the PRC, which isn’t exactly known for it’s finely crafted products. Perhaps not the finest craftsmanship, but they rate VERY high on the Geek and Kitsch scales! That thing ranks right up there with my previous favorite Geek Watch which had a databank, stopwatch and a full functional calculator! His arm really moves? Totally Geeky!!! Aww, you guys totally forgot the rest of the problems with my watch. Aside from the concrete scratches (that’s why the screen is blurry, the LCD is actually in focus) it has a few soldering irons melts along the side. 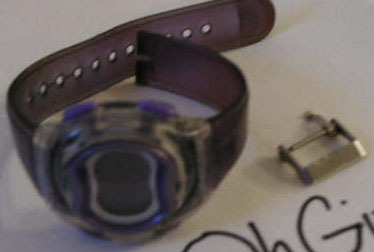 The band doesn’t even belong to that watch, as the original shattered (literally, to multiple pieces) long ago. 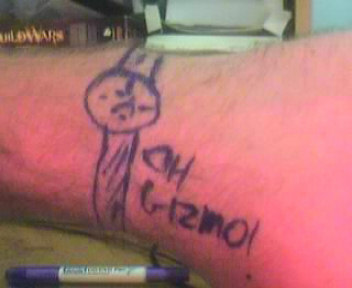 That’s actually a G-Shock band that I had to cut down to fit it in there.